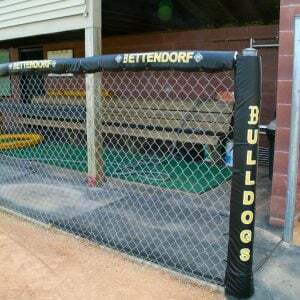 Sewn padding with Grommets are used for chain link fence installation. 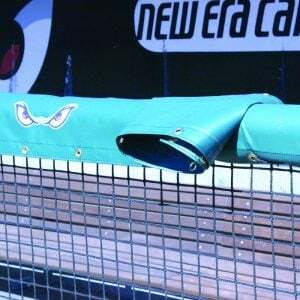 Durable double sewn padding is 2”, 3” or 4” thick high-impact foam with no plywood backing. 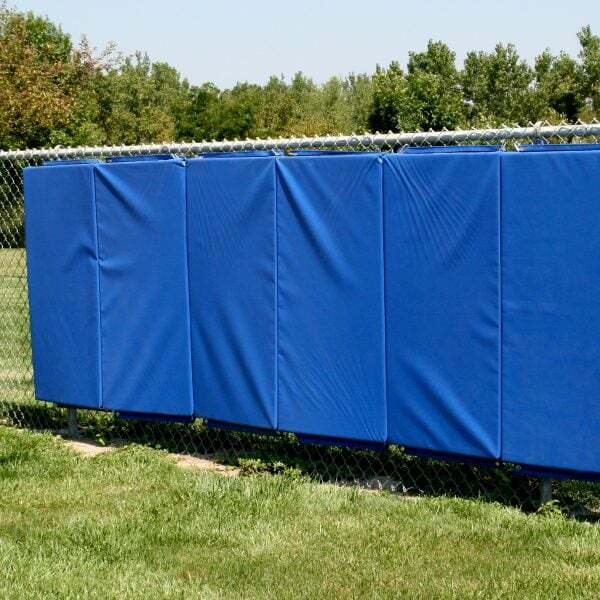 Padding has a top and bottom flap with grommets to secure to a chain link fence. Maximum panel size is 4’high X 8’ length. The high-impact foam is wrapped in durable 18oz. vinyl. Long lasting vinyl is UV and weather resistant. Choose from standard colors dark green, black, royal blue, navy blue and red. Additional colors are available. 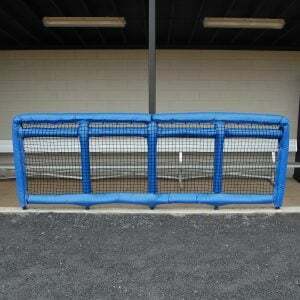 Protect your players with durable, Douglas protective wall padding. 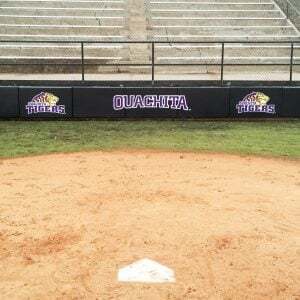 Please contact me with more information about: "Douglas® Custom Sewn Padding with Grommets".